Is Healthcare Risk Management Right for Your Business? Healthcare risk management is a diverse field that is constantly evolving. A healthcare risk manager can mean something different, depending on which professional you ask about it. The risk management professional is one that has learned to become flexible and adapt to changes within healthcare and medical insurance. The answer to that question depends on which niche of the medical insurance industry that the risk manager works. 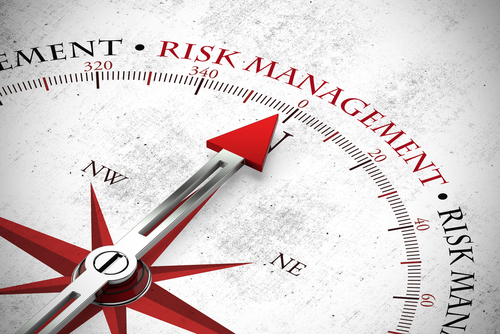 Generally, risk managers handle financing, claims management, various factors of healthcare, incident management, claims management, emergency preparedness and statistical analysis. There are many places that healthcare risks managers might work, not just medical stop loss insurance companies. These healthcare risk management professionals work in places such as as hospitals, consulting firms, ambulatory care, physician practices, pharmaceuticals, hospice, and so on. Some risk management professionals work for organizations that require medical degrees, while others do not. Again, it all depends on the individual organization. The American Society for healthcare Risk Management (ASHRM), a professional association for healthcare risk managers, has about 6,000 members. Can Healthcare Risk Management Help Your Business? With medical stop loss insurance, not only do you decrease the likelihood of catastrophic claims hurting your cash flow, but you get more of a focus on healthcare risk management. As an employer with a self-funded medical stop loss plan, you can use our services to help you track the financial performance and decision making by analyzing the data. In turn, this will better allow you identify which areas of your healthcare plans are costing more. With this data, you can help control the cost of risk and adjust risk management and claims accordingly. Along with a self-funded medical stop loss plan, you get an increased ability to track results and use those results to make better future decisions and planning. A medical stop loss plan helps reduce the risk associated with long-term coverage like liability or worker’s compensation. In addition to this protection and risk management, medical stop loss can help protect your organization’s market share, accreditation and brand value. Risk management through self-funded medical stop loss insurance can also help to improve the way your organization is perceived by the community. At Prodigy, we want to simplify things as much as possible for our clients. This is why we write these blog posts, so you have access to a wealth of knowledge before and after you choose to do business with us. Patient safety, transparency, integrity, and quality service are highly important to us as medical stop loss underwriters and healthcare risk managers. The medical field, and subsequently healthcare, are moving at a faster speed than ever before. Advancements in medical science increase every day, along with cybersecurity concerns, the role of regulatory bodies, and reimbursement climates. We simplify potentially confusing healthcare jargon for our clients so they can get the best coverage possible. If you have any questions about how healthcare risk a management can benefit your business, contact us any time.